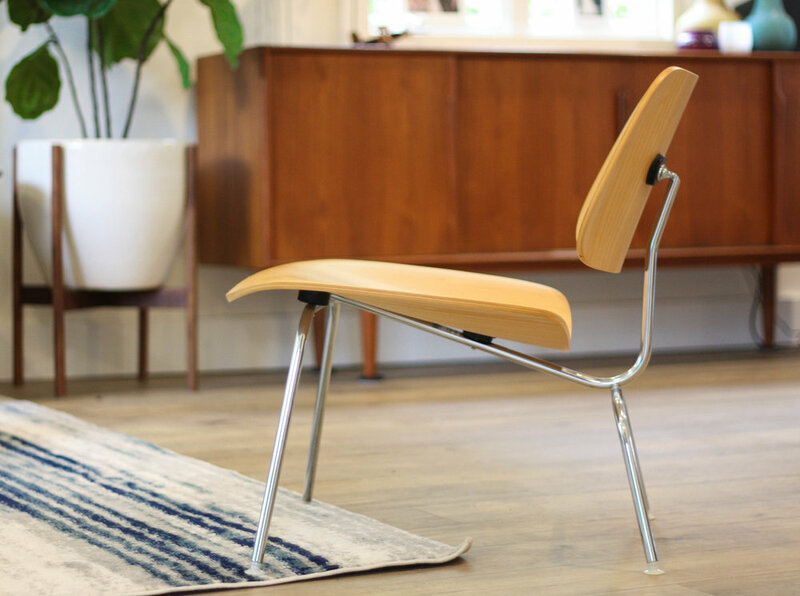 The Eames Molded Plywood Lounge Chair, known as LCM, is a classic example of the Eameses philosophy. "Honest materials and simple design". 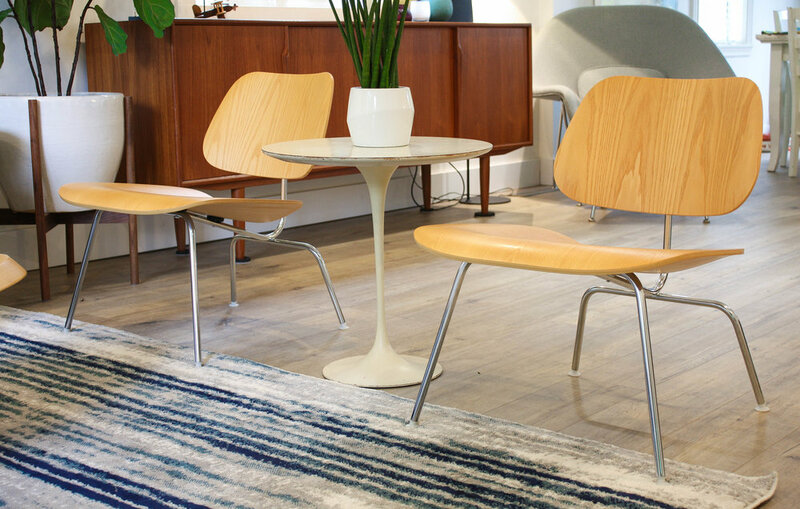 These chairs established a foundation for future modern design. 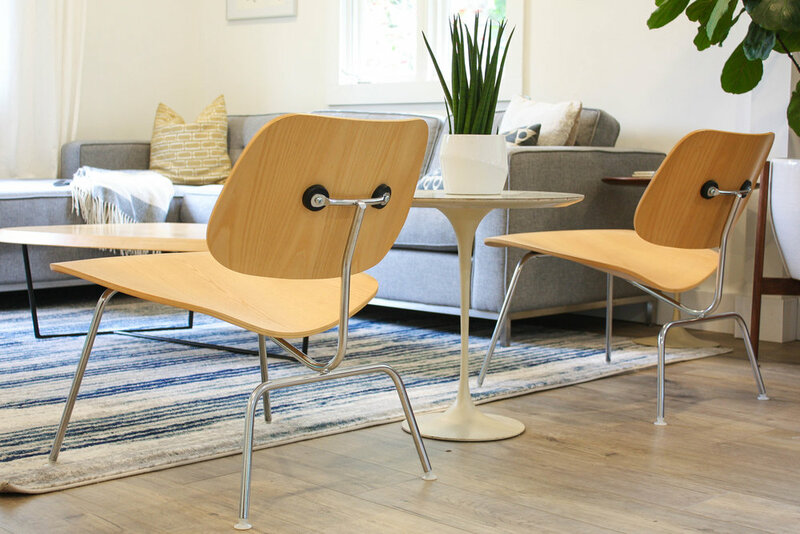 If you were to purchase these chairs from Herman Miller today they would run you around $1,000/chair after shipping and taxes. This pair is in excellent condition. The chrome frames shine brightly and show no signs of pitting, rust, or neglect. The ash wood seats and backs show virtually no signs of use, certainly nothing detectable from a normal viewing experience. No veneer chips as is common with the secondary market on these chairs. We took pictures from all angles so you could see the quality for yourself. 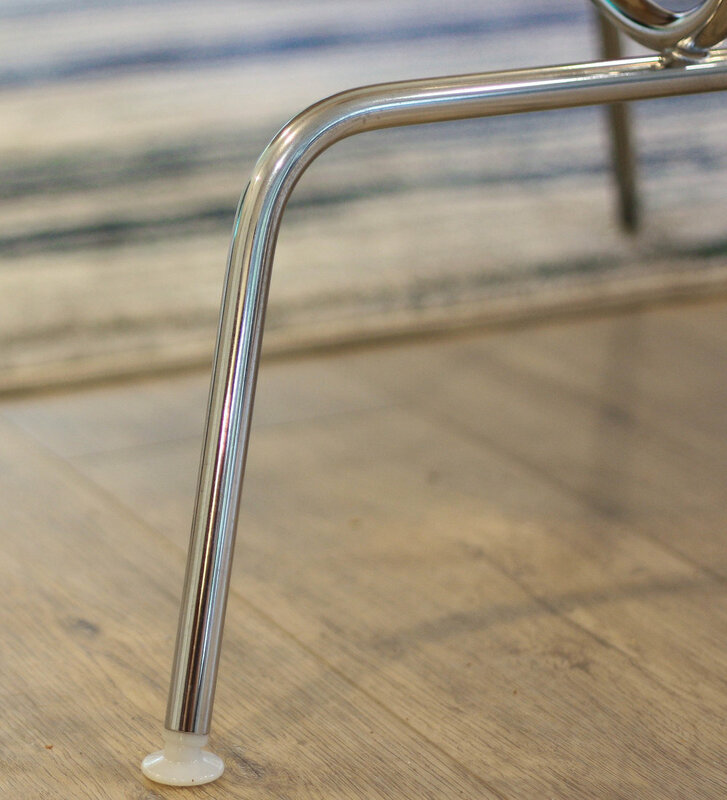 Believe us when we say this is as good as it gets for a used chair. You wont find a better condition one anywhere.